John Marshall Inc. is a seller of parts for all Prewar and Postwar Mercedes-Benz Autos. Since 1985,we have provided customers on six continents with an excellent supply of parts and customer service. 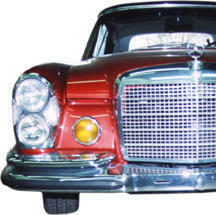 We specialize in rare and hard to find parts for all Mercedes-Benz coupe, convertible and sedans.